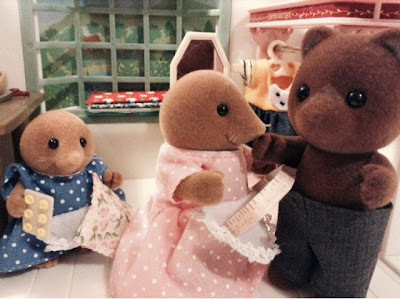 Adrian is getting measured up at Sybil's sewing shop. Stephanie is helping out too! 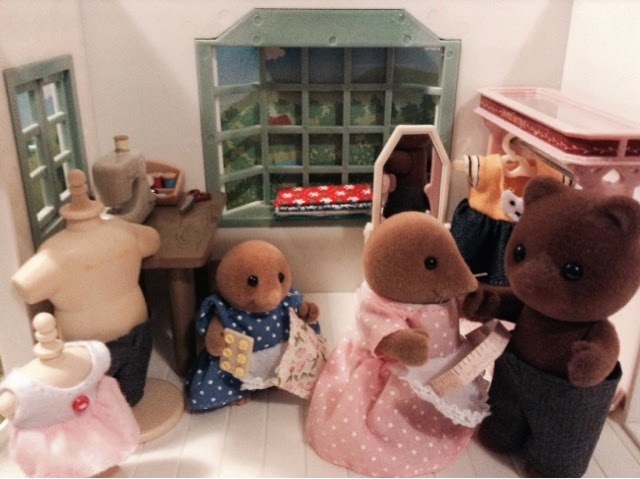 There's so much to do... Sybil is overrun with tailoring requests, everyone wants a new outfit for the day! Aww, what an adorable picture! I can't wait to hear more about this wedding! Great sewing shop! I love how the little one is helping her mother!